Since we opened our doors, our vision has been to provide the best quality products and services to the Rochester building community. In line with this vision, we’ve joined forces with some of the most respected names in the construction and home improvement industry, including Installed Building Products, Owens Corning™ and Gutter Helmet®. Our gutter specialists have an average of 10 years of experience in the industry and are among the best in the business. 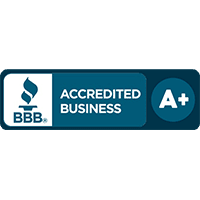 We offer sound professional advice and reliable, quality service to each and every customer—guaranteed! You can count on MIG to develop a custom gutter and gutter protection solution for your home improvement project. 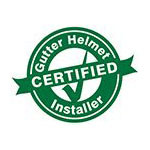 Our gutter experts are fully insured and will provide a detailed estimate for your installation free of charge. In addition to gutters and gutter protection systems, MIG also specializes in insulation, shower doors, bathroom hardware, closet organizers and fireplaces. Make your home a MIG Home. Give us a call at (800) 824-3772 to get a free, no-obligation estimate or fill out our online form to set up an appointment with one of our sales representatives. You can also check out our showroom at 103 Ontario Street, East Rochester, NY 14445.